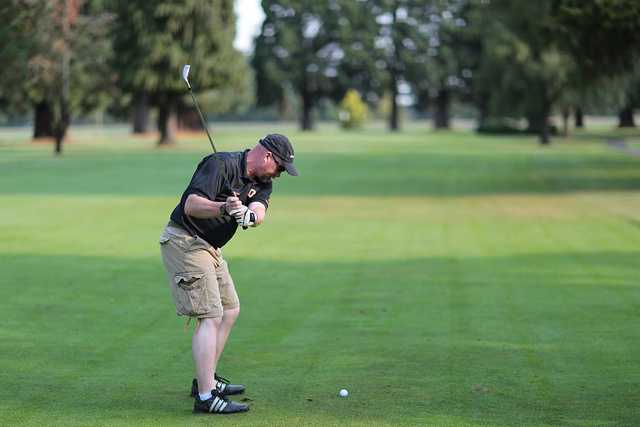 Every golfer wants to be able to hit it further out on the course, whether it’s off of the tee or 250 yards out on the fairway. More distance allows you to take shorter clubs with more loft and hit higher shots that land softer into greens and are more controllable. As you may know, speed — more specifically, clubhead speed — is the single greatest contributor to distance, since a higher clubhead speed translates to a higher ball speed. It has been shown that, with a driver, every 1 mph increase in clubhead speed results in approximately 2.8 more yards of carry. The question then becomes: how do we generate more clubhead speed? If you think that there’s room for you to improve in that area, the drills that follow below should help you. Who this drill will help: Golfers who feel they could be getting a little more in terms of clubhead speed. What this drill is: With your driver or other long club, address the ball and hold the club up about 2-3 feet in the air. From there, make your backswing and let the club come back down normally behind the ball in your downswing. What this drill tries to accomplish: When you perform this drill, you’ll probably find that you hit it farther. This drill tends to keep your swing arc wide and causes you to swing a bit faster through the ball. Once you get used to the feeling of swinging quicker through the ball, you can go back to taking your normal address, and hopefully you’ll start generating a bit more clubhead speed naturally. Who this drill will help: Golfers who are sacrificing clubhead speed by overusing their body in the downswing. What this drill is: Put your left hand across your chest onto your front-right shoulder (or vice versa for a left-handed golfer). With your other hand, hold your club (driver, etc.) 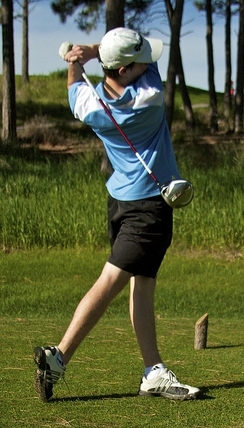 upside-down right above the clubhead, with the clubhead facing towards the ground. Keeping your left/right hand on your shoulder, make practice swings with one arm and listen for the “whoosh” at the bottom of the swing near the golf ball. Concentrate on not using any of the muscles in the forearm, bicep or shoulder on the side that your hand is placed. What this drill tries to accomplish: This drill will help you to keep your head still and avoid making motions in the downswing that will hamper your clubhead speed. Continue practicing the drill until you can really build up your speed and your “whipping” action. Give one or both of these drills a try, be persistent and hopefully you’ll be able to see some positive results! The product review section of Golfstead has information on quality clubs that will allow you to get the most out of these drills. Will try these golf swing speed drills. 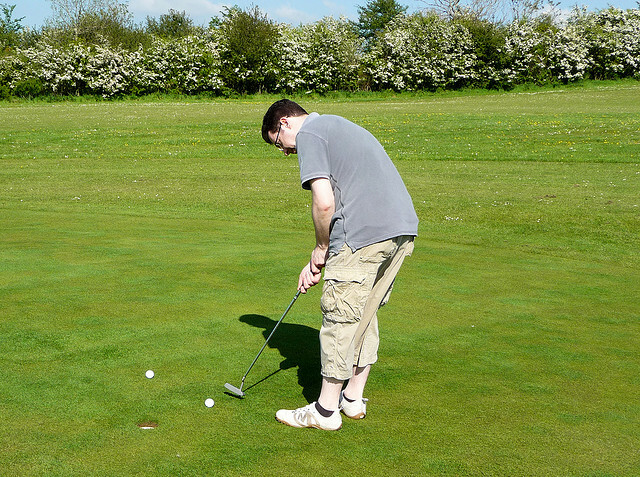 I have not be golfing steady in the last 5 years, next year I will have more time and money when the good weather arrives. I will use this winter to practice in the garage or yard depending on how cold it is; I like the second tip as this could slow down my push that I sometimes have, my body finishes before my hands. Thanks for the tips. Hope you can find some results, John. I’m in a similar situation with the weather — with a cold and snowy winter approaching, I’m soon going to have to wait until next spring to resume golfing. One of these days I might just end up moving south! Thanks, and good luck out there! Be sure to let me know how it goes.